When I perform, I feel like there is no one in the hall. Every single time, I’m not there. I’m somewhere else. 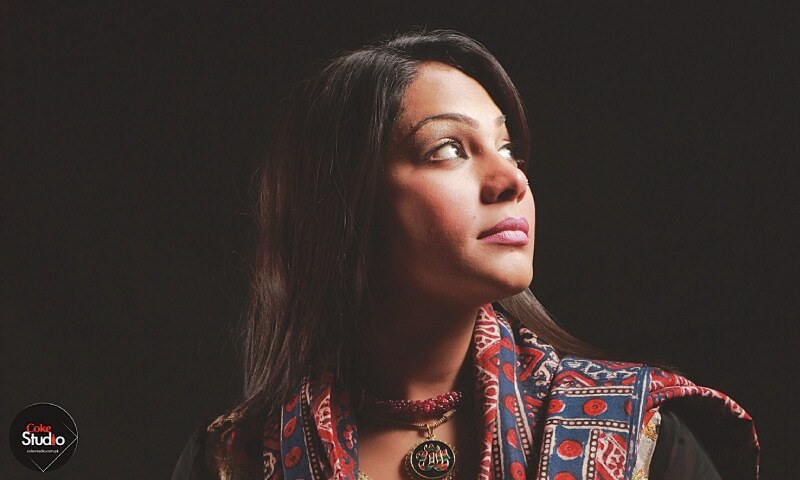 And I don’t know where that place is.” Sanam Marvi has just performed at the BAM Opera House in Brooklyn, New York. At some point during the performance one of the audience members yelled, ‘Sanam Marvi, you rock!’ prompting her to smile. The audience is composed of both South Asians and non-South Asians — people who don’t understand what she’s singing but have paid to see her perform anyway. Marvi has come a long way, from a little village near Dadu called Khairpur Nathanshah, Sindh, to where she is now. Growing up, life wasn’t easy for Marvi. Her father, Faqeer Ghulam Rasool, was a small-time folk artist from Sindh. “A musician’s family struggles a lot because they have no means. People don’t give them money.” One incident from her childhood sticks out for her. “Twenty years ago, my father performed with a very famous artist,” Marvi recalls. “They returned from the show around 6am and she [the artist] immediately went to sleep. But the situation at our home was such that we were starving. There was nothing [to eat]. There was such poverty that we’d eat once a day and then wonder what are we going to do next. Marvi and her father frequented the artist’s house numerous times to no avail. “My father would take me with him because he wanted me to learn. He said ‘In the future you will have a name, you need to know that you can’t do this to others’,” she says. “The last time my father went, that woman came out herself. She said ‘What happened Khan Sahib? For this money you’ve ruined my sleep.’ The payment she was supposed to give my father was Rs2,000 but she gave him Rs200 and said ‘Take this and go. I’m never going to hire you again. Itna bhi koi dosray ko parayshan karta hai!’ [Who bothers another so much!]. Tragedy struck. And only a short while after her wedding, Marvi’s husband was murdered in a targeted attack in Karachi. She was pregnant with their first child. “At a very young age, I suffered a major shock,” she recounts, “This happened to my mother. Now, this was happening to me too? I was worried for my child, what’s going to happen to her? What about her second husband? “Hamid is my cousin,” she says with a smile. “He said, ‘I always liked her. But you married her off too young.’ Then my mother suggested that he visit and meet me in person as well. There were sparks. He started liking me more and then phone calls upon phone calls from the next day. And that’s how our story started — our love story,” she laughs as she talks about him. One day, her mother-in-law took the TV set out into the verandah. A show called Virsa Heritage was being broadcast on PTV. Ali Abbas and Sara Raza Khan were performing a duet, the sounds of which brought Marvi out of the kitchen and into the hall. She was immediately reprimanded by her mother-in-law but by then, she had decided she was going to broach the subject with her husband at night. “I told him I wanted to sing,” she says. “He said, ‘Do you know what you’re saying?’ I said, ‘Yes, I do. And guess what? Once I’m established, we’ll become rich!’” She bursts out laughing. Marvi happened to have Sameena Peerzada’s number. The next day, she called her while her husband and mother-in-law watched. She was immediately invited to meet her at PTV in Lahore. That meeting turned into a recording. “There was a live performance running in the studio,” Marvi explains. “They took me straight into that. The entire village was watching!” She sang Kithay Meher Ali, Kithay Meri Sa’na. The beauty of Salahuddin’s haveli left Marvi spellbound. In a little while Mian Yousuf Salahuddin also turned up. “He put his hand on my head and said, ‘You’ve come here from Sindh, but you are a daughter of Punjab.’” She performed a few songs for him. He featured her in several seasons of his Virsa Heritage show. And people began to take notice. She started getting asked to perform. Salahuddin suggested Sanam and Hamid move to Lahore. “We got a house on rent for 7,000 rupees per month. Every month I used to worry, ‘How are we going to pay 7,000 rupees?’. We needed to buy rations as well. How will we afford all of this?” Six months after her appearance in Virsa Heritage, she was offered her first season of Coke Studio, Season Four. She’s been featured in every season since then. “I remember I got 200,000 rupees [from Coke Studio] and for the first time, I installed an air-conditioner in our house,” she remembers fondly. Times changed and she started getting regular work. One of the first things she did was that she brought her daughter home. I remember meeting Marvi briefly when she first came into record for Coke Studio. She came across as quiet and meek and a terrible sadness seemed to have overtaken her. She was expecting her first son, Behlul, at the time, but what no one knew was that there was another tragedy unfolding in the background: her daughter had been kidnapped. “She was only two or three years old,” Marvi says. “I felt like I had gone insane. I couldn’t sleep at night. I was constantly wondering if she was okay.” After several futile attempts with the help of the police to recover her, she finally managed to get her daughter back after paying a hefty ransom. Her daughter remained with the kidnappers for around six months. Having forayed into Bollywood with O Lala with Ali Zafar and Hadiqa Kiani for London Paris New York, Marvi doesn’t feel like that genre of music is really her cup of tea. She wants to focus on sufiana kalaam. Out of curiosity, I ask, how many concerts does she manage to do in a year? “I do around six or eight shows in a month and around 60 [in a year],” she responds. She pauses for a moment as if something just occurred to her and whispers, “Tax to nahin lagay ga? [I won’t get taxed, will I? ]” She bursts out laughing, again. One day, her mother-in-law took the TV set out into the verandah. A show called Virsa Heritage was being broadcast on PTV, the sounds of which brought Marvi out of the kitchen. Later that night, she decided to have a talk with her husband. “I told him I wanted to sing,” she says. “He said, ‘Do you know what you’re saying?’ I said, ‘Yes, I do. And guess what? Once I’m established, we’ll become rich!’” She bursts out laughing. What’s in store for her now? “I have a concert in the United Kingdom and one in Uzbekistan.” The last time she was in Uzbekistan was in 2013 at the 9th International Music Festival Sharq Taronalari (Melodies of the Orient) in Samarqand. She was awarded the Unesco Award in music at the festival. The only other Pakistani to have received this award was Nusrat Fateh Ali Khan. Although Marvi has been to the United States twice before, this tour was a new experience for her. “Whenever I go anywhere, I have to learn something from there,” she says.